Let’s start with something simple. Do you want your wall to have some sort of a flower art arrangement? Try this filter art that is made of dip-dyed coffee filters. 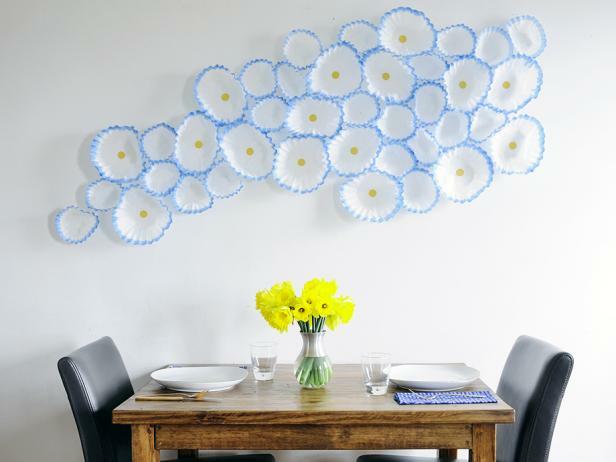 You can place them randomly on a wall with the use of glue dots to make a flower arrangement of your own. If you’re a traveler, there’s still use in those old maps you used to bring along before the dawn of smartphone apps. 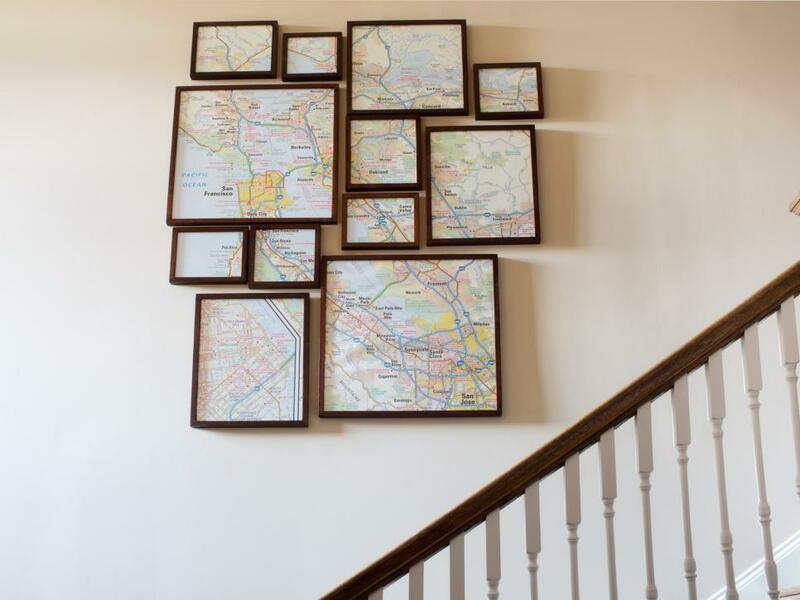 Old maps look good when they’re framed, and they’re even greater to look at when you hang them on to decorate blank wall. Choose your favorite destinations so you can remind yourself of the places you’ve visited! A clean chalkboard, with a little bit of calligraphy, can work wonders on a blank wall. Instead of displaying pictures, write quotes from influential people. It can be a quote from your favorite chef (like in the example), actor, or anyone else that inspires you. Seeing the message every day can inspire you to do great things. Candles can be romantic pieces that add warmth to a home. You can hang them in clusters, or combine them with other items on your wall. Candles bring sophistication and serenity to a room depending on their design and scent. It is always important to remember that interior design isn’t just about choosing frames, candles, and faux flower arrangements; it’s also about accuracy and being meticulous. It’s key that you have a clear vision of what you want to create, so that it gives you more of a chance of delivering what you envisioned. Make informed decisions so that all events have a desired outcome. Basically, the more you understand all the probable outcomes, the likelihood of achieving the desired results is greater. Interior design can be extremely hard to master, and it requires a multi-faceted skillset, so preparation is key. Be patient and only undertake work once you feel you have all the necessary skills to deliver on your vision of creating the perfect designs to a blank wall in your home.